I know there is a ton of hype surrounding Urban Decay's 24/7 pencil liners, but I decided to try out a few of their 24/7 liquid liners. I haven't heard too much on these, but I do love a good liquid liner, so I decided to give them a shot. 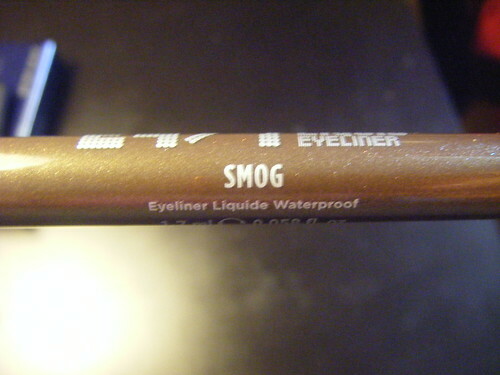 Smog is a gorgeous golden brown shade with golden shimmer. What made me buy these liquid liners was the amazing pigmentation and the beautiful shimmers in each colour! I have featured this liquid liner in a favourites post before, since I really do like it. I know that a lot of people are almost scared of liquid liner, since it can be a bit tricky to use. However, once you use it a few times, it really isn't that hard. I often find it easier than a pencil liner, since it just glides on, and you never have any dragging. The only downside to liquid liner is that it sometimes takes a few moments to set, and it can smear. You do have to gently shake the bottle of these before using them, or else you'll end up with a sheer, watery formula. Otherwise, the colour applies very rich and pigmented. This liner comes with a pointed brush tip, which I find very easy to use. You can create a thin or thick line, depending on the look you are trying to achieve. My only complaint with these is that they don't always stay on my eye all day long. Yes, they are long lasting, but sometimes I apply my makeup at 7am before I go to class, and then I don't get home from work until 11pm, so that's quite a long day. I find that at about the 10-12 hour mark this liner starts to flake off in chunks. 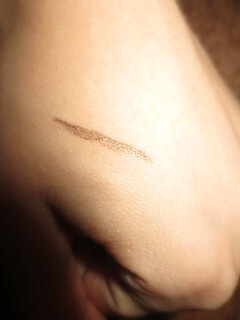 When removing my eye makeup, I'm able to see visible chunks of this liner on the cotton ball! But, even though these are considered waterproof liners, they do remove fairly easily with eye makeup remover or just a cleanser. These liners from Urban Decay will cost you $23 CAD for 0.25oz, which is a bit pricey, but if you find a unique shade that you love, the price is worth it. Also, don't be afraid to try a liquid liner, they aren't scary! 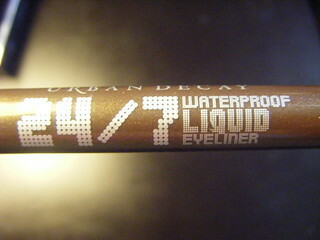 :) Have you tried these liquid liners from Urban Decay? I don't think I could bring myself to spend $23 on an eyeliner!! I go through it too fast...I ave heard amazing things about their eyeliners though!! The L'Oreal PARIS LIQUID EYELINER is always in my handbag. It helps my eyes look so attractive.